Buy with confidence, over 4429 sold, Genuine UK Seller. 3 JELLY PRAWN T15 fabs excellent fly has caught many trout T15 Chatruce at rear & Prawn T15 at front the foam is split I find the fab fishes better when tied like this on platinum hooks size 10. 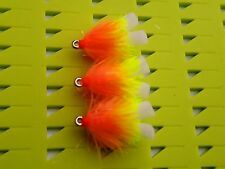 3 VIVA NEON 15 BLOBS TROUT FLIES/FLY FISHING. 3 Coral & phosphorous yellow fabs excellent fly has caught many trout Neon yello at rear & Coral T15 at front the foam is split I find the fab fishes better when tied like this on Kamasan hooks size 10. 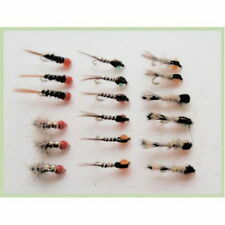 6 Trout Pellet Flies, Foam Trout Pellets, For Fly Fishing, Trout Flies Carp Fly. 6 mixed Trout Pellet Flie's. Can be used on any Stillwater fishery. And can do real well fished along side keep nets. These can also be good to catch carp with on the fly rod. Tight Lines. That goes for our flies too. Old Box of Fly Fishing Flies - Trout Salmon Sea trout. These have been found in the garage. The box seems to be handmade and there are flies, hooks, floats and some other bits. The box is 330mm x 193mm Please don’t hesitate to ask questions as I certainly no expert about fishing tackle!! Condition is Used, can be collected from PH9 if preferred Dispatched with Royal Mail 2nd Class. 50 Assorted Lures designed for stillwaters. 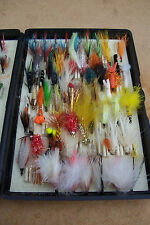 Quality assorted Flies, various popular Lure patterns, ideal for topping your fly box up. Liquid Silicon Mucilin Dry Fly Liquid & Brush Set. FLY FISHING. 10 Goldhead Nymph. 5 Goldhead Flash Damsels - Standard. 5 Goldhead Flash Damsels - Mini. 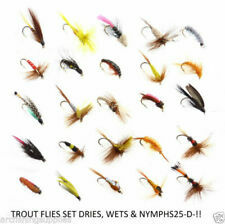 Here we have a lovely set of 35 Mixed Trout Flies supplied in our water tight snap lid trout fly box. Our trout flies are tied on quality hooks and will not let you down. 24 Mixed Cats Whisker and flash Damsel Trout flies Size 10 Hook. Our trout flies are tied on quality hooks and will not let you down. We have our own team of tyers who make the fishing flies exclusively for us, working along side us with traditional and modern patterns using vet certificated products where necessary and synthetic materials as required. 3x Floating Foam Snails/Beetles/Strike Indicator flies. 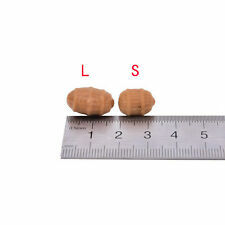 IN THE first PICTURE YOU CAN SEE THE DIFFERENCE IN SIZE - COMPARISON OF STANDARD BLOBS AND MINI BLOBS. THESE 12 MINI BLOBS ARE MADE ON KAMASAN HOOKS (B160 WIDE GAPE SHORT SHANK SIZE 10) WITH GEL CORE FRITZ. 3no Glen Orangie Muddler. The Glen Orangie Muddler is tied within a 4 minute walk of the Glenmorangie Distillery, and is a nod to the classic malt. While striking a huge similarity to the wetfly this muddler spawned from, the added deer hair head separates them and puts this fly in a different league. 4 x Goldhead Pheasant Tail. Our trout flies are tied on quality hooks and will not let you down. We have our own team of tyers who make the fishing flies exclusively for us, working along side us with traditional and modern patterns using vet certificated products where necessary and synthetic materials as required. Clothing,carp gear,pike gear,all kinds of floats. loads of various patterns & sizes. loads of accessories,fly fishing gear,seatboxs & luggage. I haven't counted them but as you can see in the pics there's a lot (in the 100's). 3 Cats whisker neon fabs excellent fly has caught many trout Neon Chatruce at rear & Black T15 at front the foam is split I find the fab fishes better when tied like this on Kamasan hooks size 10. Liquid Mucilin Dry Fly Liquid & Brush Set. FLY FISHING. 6 x Goldhead Olive Nymph. 6 x Goldhead Olive Evil Weevil. Our trout flies are tied on quality hooks and will not let you down. 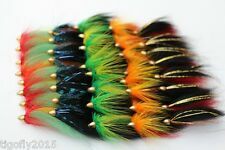 We have our own team of tyers who make the fishing flies exclusively for us, working along side us with traditional and modern patterns using vet certificated products where necessary and synthetic materials as required. NEW 3 LIQUERIOICE & RASPBERRY T15 JELLY & NEON BLOBS TROUT FLIES/FLY FISHING.